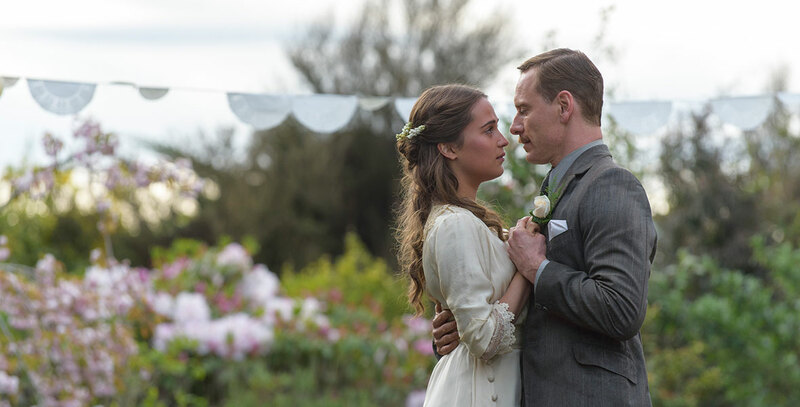 Light Between Oceans, The (film) Tom and Isabel are a lighthouse-tending couple who stumble upon a boat carrying a dead man and a baby. Tom and Isabel decide to raise the child as their own, with emotionally tortuous consequences. Directed by Derek Cianfrance. A Touchstone/DreamWorks film. Released September 2, 2016. Stars Alicia Vikander (Isabel Sherbourne), Michael Fassbender (Tom Sherbourne), Rachel Weisz (Hannah Roennfeldt). Filmed in widescreen format in Australia and New Zealand. 133 min. Based on the book by M. L. Stedman. The film’s lighthouse location was on Cape Campbell, near Seddon, Marlborough, New Zealand.